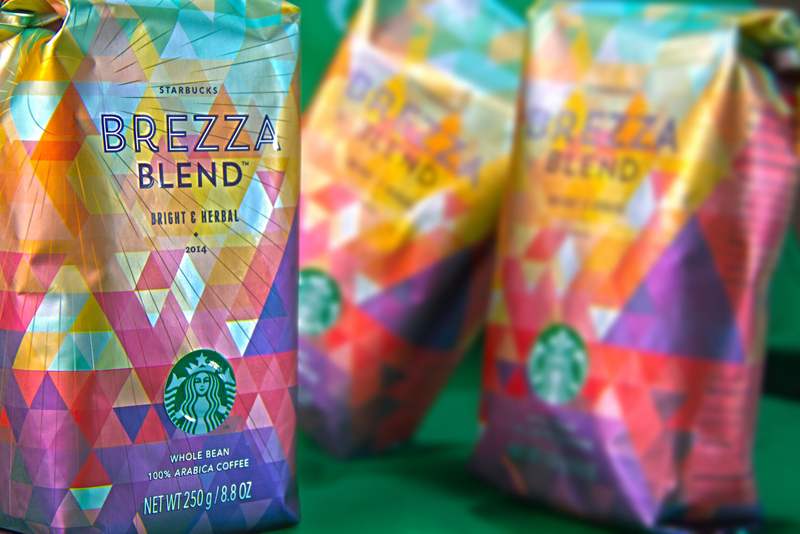 Starbucks is releasing a summer coffee blend, which is expected to become a nice alternative to traditional soda beverages of this season. The brand has infused the new offering with “brighter and livelier flavor notes” that are much different from intense coffees of colder seasons. The blend includes three different coffees that add their own elements to the summer taste—from sunny Colombia, Papua New Guinea with a juicy taste; and East Africa where the herbal notes are added. The product’s name also syncs with the summer time—the name Brezza means “breeze” in Italian. 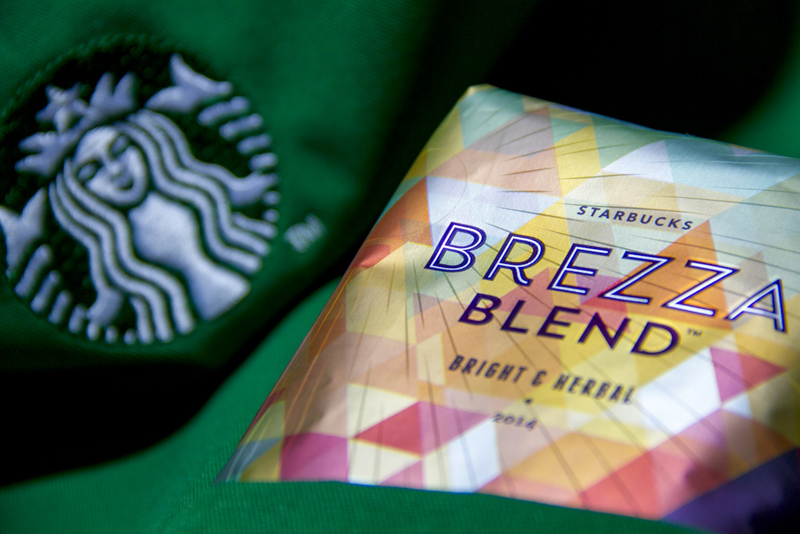 Starbucks Brezza Blend is supposed to be used for making traditional coffee as well as for making iced beverages, where coffee with sweet lemony notes pairs with lemon, orange, caramel, and golden raisins. The packaging of the latest edition mirrors the summer vibe through a kaleidoscopic pattern that features a plethora of bright multi-colored elements. This visual language spreads across the brand’s digital promo campaign this summer. In particular, it is heavily featured in promotion of Starbucks’s Frappucino beverages on the brand’s official website. Posted in Design and tagged coffee and tea, Starbucks, USA. Bookmark the permalink.